To offer a bit more luxury – if not to quite take it up to Audi levels – Škoda offers the Laurin & Klement editions. 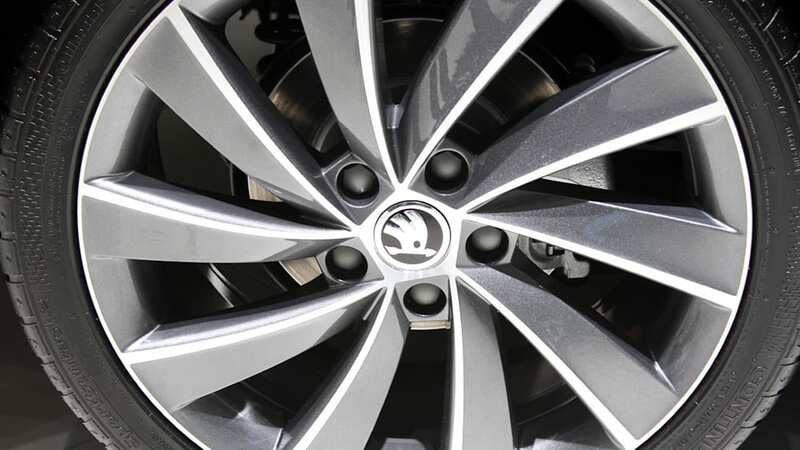 Named for Škoda's founders, the L&K editions add a touch of elegance to otherwise ordinary Škoda. We've seen it offered on models like the Yeti and Superb, but now the Czech automaker has rolled it out on the Jetta-sized Octavia here in Geneva. 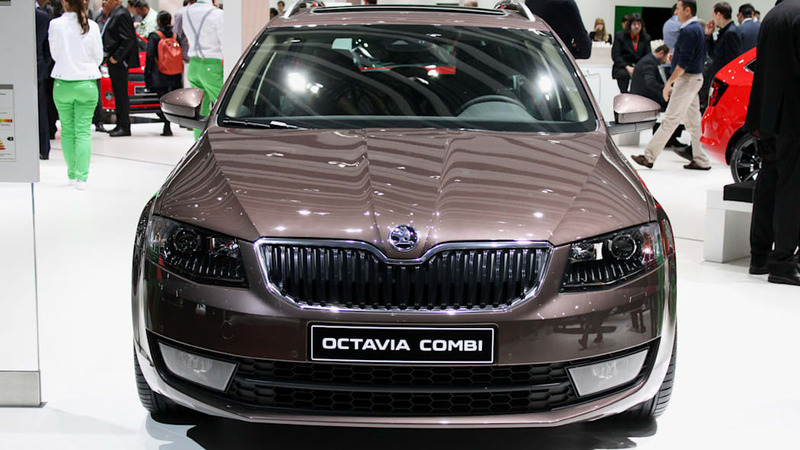 Available to European buyers on both the Octavia sedan and the Octavia Combi wagon pictured here, the L&K edition upgrades with such special touches as 18-inch alloys, bi-xenon headlamps with LED auxiliary lighting, and an interior done up in brown leather and Alcantara. 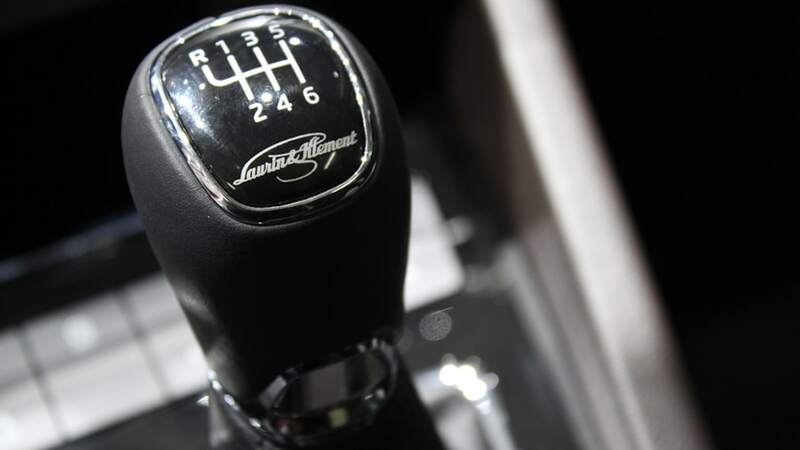 Motivation comes from a variety of powertrain configurations including manuals and DSGs, diesels and petrols, front-drive or all-wheel drive, giving those overseas buyers with a penchant for luxury but not for flash a range of choices. Geneva/Mladá Boleslav, March 2014 – ŠKODA goes up tempo. At the Geneva Motor Show (4 to 16 March 2014), the car manufacturer emphasises the dynamism of its brand with a whole series of new models and variants. The crowning glory of ŠKODA's presence in Geneva is the spectacular coupé study "ŠKODA VisionC", taking ŠKODA's dynamic model and design developments over recent years up to the next level. As a world premiere, the brand is revealing the new ŠKODA Octavia Scout and the new ŠKODA Octavia G-TEC with natural gas propulsion. 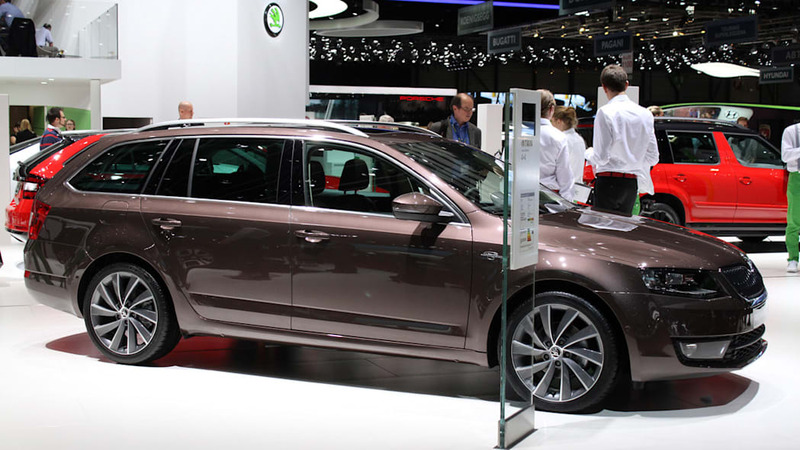 The new ŠKODA Octavia is on show for the first time with top-of-the-range Laurin & Klement. ŠKODA is also launching three new Monte Carlo special models with sport trim for the ŠKODA Yeti, the ŠKODA Rapid Spaceback and the ŠKODA Citigo. In 2013 the car manufacturer delivered 920,800 vehicles to customers throughout the world. It was the second-best sales year in the company's history. ​"ŠKODA is right on track with its expansion," says ŠKODA CEO Prof. Dr. h.c. Winfried Vahland. "Eight new or redesigned models in 2013 show the power of ŠKODA as a brand. With 'ŠKODA VisionC' we now herald the next phase in ŠKODA's design language, making it clear that this is a brand on the move. In the wake of the largest model offensive in the company's history, we will be regenerating and expanding our range over the coming years. We intend to hold onto traditional ŠKODA values while integrating new sophisticated design and intensifying the brand's emotional charisma," says Prof. Dr. Vahland. In this way, the Czech manufacturer is building seamlessly upon the technical successes of past years. The starting point and design landmark for the current model offensive was the "ŠKODA VisionD" design study at the beginning of 2011. Since then, ŠKODA has expanded its portfolio from five to seven model lines. ŠKODA's city car Citigo and the compact cars ŠKODA Rapid and Rapid Spaceback have been newly integrated into the range. The ŠKODA Octavia – by far the brand's strongest seller – has really taken off in its new, now third generation, transforming itself into the ultimate winner with two-figure growth rates. The compact SUV ŠKODA Yeti has been completely revised and is now available in two exciting variants Yeti and Yeti Outdoor. 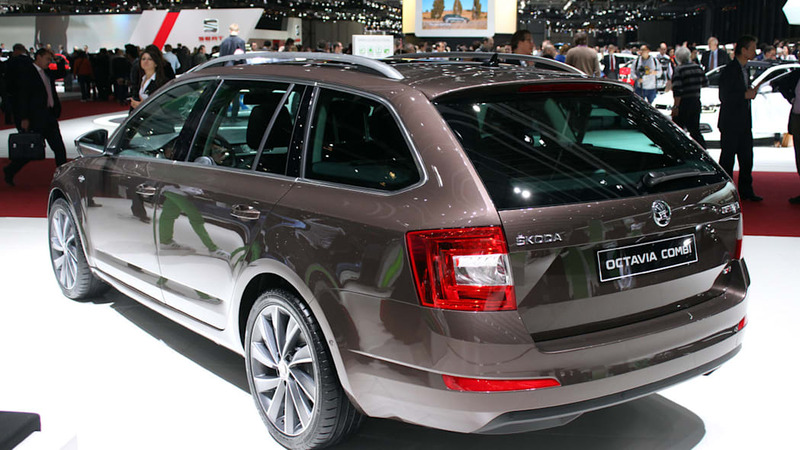 ŠKODA's flagship model, the Superb, has also received a comprehensive facelift with new design and technical features. The "ŠKODA VisionC" design study on show in Geneva is a milestone on the brand's design language. "In recent years, ŠKODA has established itself as a high-volume brand in international automobile markets," says Werner Eichhorn, ŠKODA Board Member for Sales and Marketing. "The brand has been placing increasing emphasis on technology, design, functionality and internationality. We are continuing along this route. Our vehicles are becoming more expressive, dynamic and emotionally-charged," says Eichhorn. "ŠKODA VisionC" is the design study of a dynamically elegant five-door coupé. The vehicle is impressive with its expressive design, pure lines and perfect proportions. At the same time, this ŠKODA design study is sophisticated in terms of functionality and environmental friendliness. It is generously spacious, as we have come to expect of ŠKODA, with an innovative natural gas drive system and excellent aerodynamic efficiency. By launching a five-door coupé, a first for the brand, ŠKODA is also making it clear that this manufacturer is not afraid of new vehicle concepts. "The 'ŠKODA VisionC' is an emotional icon, a clear signal of the dynamism of a brand that is forging ahead," says Eichhorn. The new ŠKODA Octavia Scout is celebrating its world launch in Geneva. With the new edition, the Czechs are presenting their best ever Octavia Scout. The crossover-model is a true scout, with robust off-road looks, outstanding drive qualities even on difficult ground, powerful modern all-wheel drive and innovative technology. 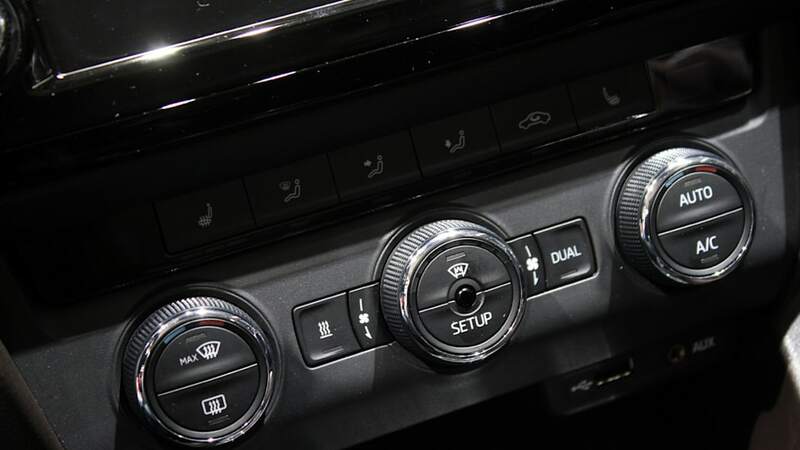 In addition to its versatility, the new ŠKODA Octavia Scout has all the best qualities of the new Octavia: highly functional, wonderfully spacious, with an excellent value and up-to-date safety and comfort systems. This vehicle has real character. With its striking adventurous looks, this multi-talented performer cuts just as good a figure on the streets as it does off-road. Distinctive visual features are powerful front and rear bumpers and all-round plastic mouldings. Ground clearance has been raised to 171 mm making it 33 mm higher than the standard Octavia and there are some Scout-specific design features in the interior. All-wheel drive technology provides excellent drive quality even off-road. The all-wheel drive utilises a fifth-generation Haldex clutch. The new Octavia Scout wins points too for excellent steep-slope performance and high traction capacity. The Octavia Scout also has an innovative rear multi-link axle. There are two diesel and one petrol engine to choose from, with engine capacities up to 135 kW. By comparison with the previous model, emissions and consumption values for the new Octavia Scout have been significantly reduced (by 20 percent on average). ŠKODA has been offering a Scout variant of the Octavia since 2007. By the end of 2013 a total of around 53,600 Octavia Scouts had been sold. This represents almost 8% of the total number of Octavia Combis delivered over that period. Also under the spotlight at the world premiere in Geneva is the new ŠKODA Octavia G-TEC – the first mass-produced Octavia with natural gas drive. "ŠKODA has rigorously reduced consumption and emissions in the development of its vehicles," says Dr. Frank Welsch, ŠKODA Board Member for Technical Development and Design. The new Octavia G-TEC represents an important milestone and has enhanced the ŠKODA range with particularly environmentally-friendly and affordable models. The ŠKODA Octavia G-TEC is the ultimate fuel economiser. 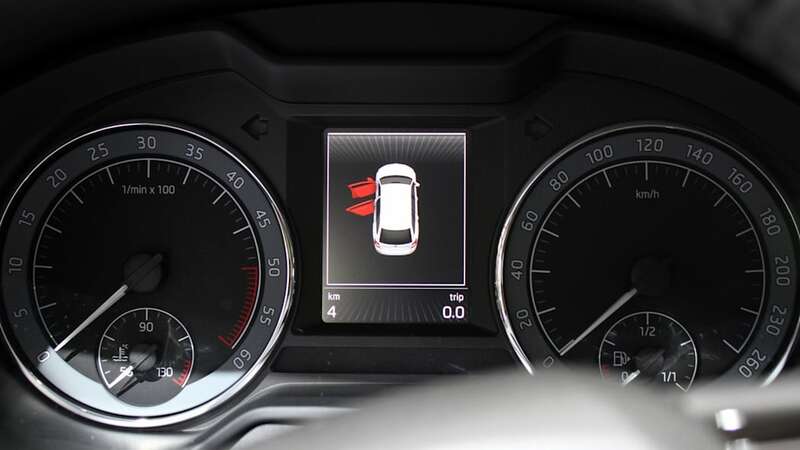 The maximum range of the 1.4 TSI/81 kW Octavia G-TEC is 1,330 km. The engine can use both compressed natural gas (CNG) and petrol fuels. Two full gas tanks will last a distance of up to 410 km. When the CNG tanks are empty, the vehicle switches over automatically to run on petrol. Running entirely on petrol, the range is up to 920 km. The Octavia G-TEC comes fitted with the environmentally-friendly Green tec package (start-stop system and brake energy recovery as standard). Fuel consumption is 5.4 m3 (3.5 kg) natural gas per 100 km with CO2 emissions of just 97 g/km. The environmentally-friendly natural gas drive is available for both the ŠKODA Octavia and the ŠKODA Octavia Combi. The Octavia is the Czech manufacturer's second natural gas vehicle. ŠKODA has had a natural gas variant for the Citigo city car in its range since the end of 2011. Natural gas drive is an important pillar of ŠKODA's sustainability strategy. Outstanding environmental values are offered by the economical, low-emission ŠKODA GreenLine models. Currently there are 97 ŠKODA models with emission values below 120 g CO2/km, 17 of which have values under 100 g CO2/km. The ŠKODA Octavia L&K launched in Geneva communicates exclusive elegance. 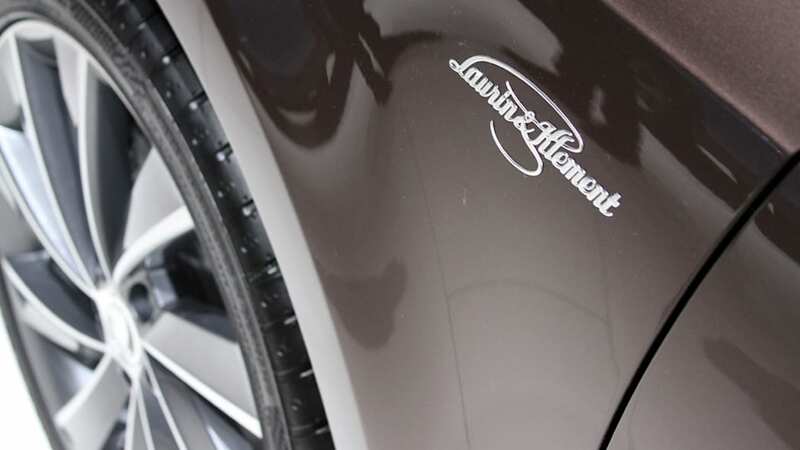 L&K stands for Laurin & Klement, the founding fathers of the Czech brand. 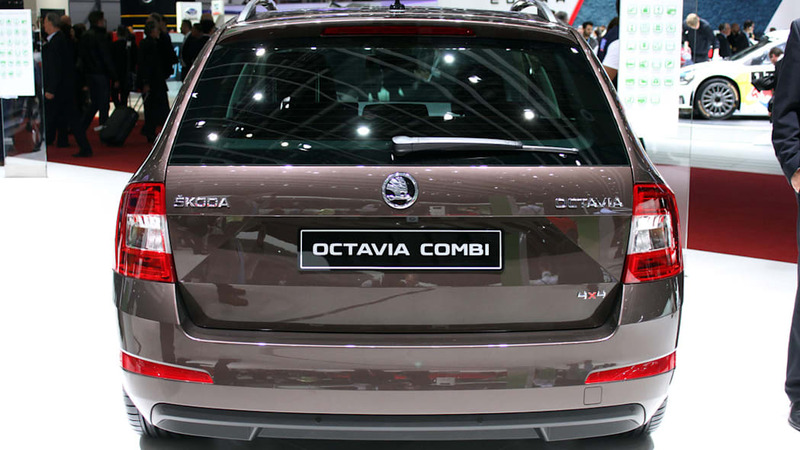 The classy L&K package is available for the Octavia and the Octavia Combi. L&K features include: 18-inch aluminium wheels, bi-xenon headlamps with LED daytime driving lights and LED rear lights. 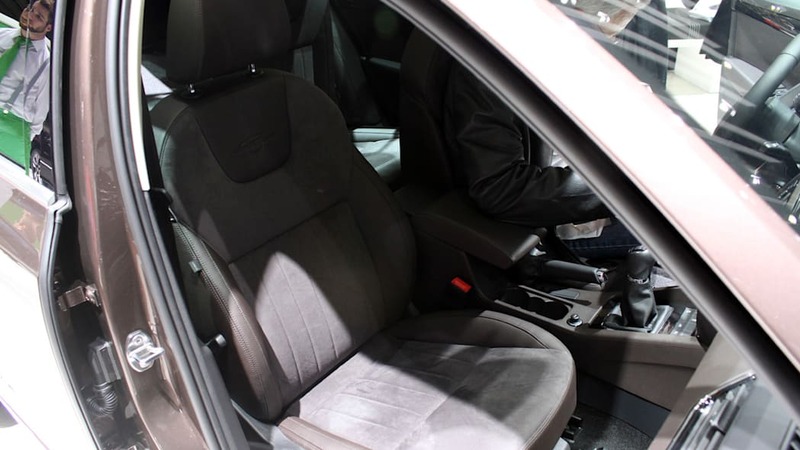 In the interior there is a 4-spoke multifunction steering wheel, leather/Alcantara seats in elegant brown, the CANTON sound system and newly-designed decorative trims. The new Octavia L&K forges ahead with three powerful engines: the 1.8 TSI/132 kW petrol engine and two diesel engines: the 2.0 TDI/110 kW and the 2.0 TDI/135 kW. The 1.8 TSI/132 kW and 2.0 TDI/110 kW engines are available either with manual or automatic DSG transmission. 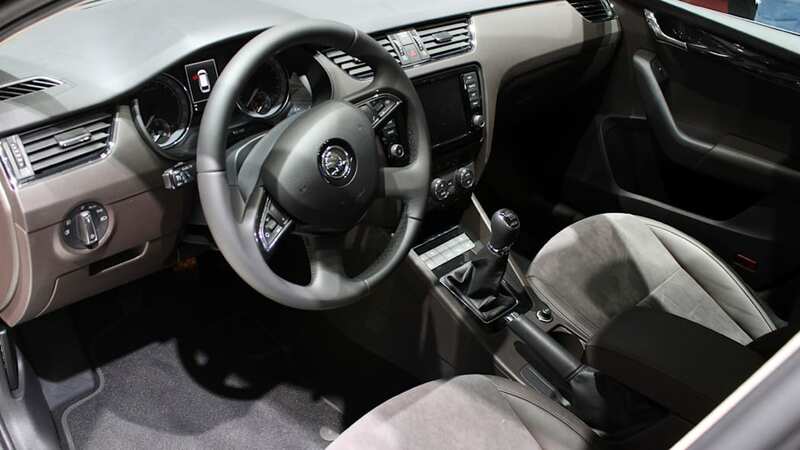 The 1.8 TSI with 6-speed DSG is also available with all-wheel drive, as is the manual transmission 2.0 TDI/110 kW. The top-of-the line 2.0 TDI/135 kW engine with combined 6-speed DSG and all-wheel drive will be introduced in the second half of 2014. In Geneva, ŠKODA will set a decidedly sporty tone with the simultaneous launch of three special Monte Carlo editions. For the first time, the manufacturer will present Monte Carlo variants of the ŠKODA Citigo, ŠKODA Yeti and ŠKODA Rapid Spaceback. With the existing ŠKODA Fabia and ŠKODA Fabia Combi, there will now be five Monte Carlo special models available from ŠKODA. These sportily-designed vehicles have impressive black aluminium wheels in sizes 15 to 17 inches, dark-tinted rear and back side windows (SunSet) and distinctive design features in black. The Yeti and the Rapid Spaceback Monte Carlo have a black roof. The interior of the Monte Carlo models have a special red-stitched steering wheel, black interior and sports seats with distinct fabric design. These special models represent ŠKODA's successes in motorsport. The manufacturer has one of the longest histories in motorsport and has collected countless victories on the international motorsport scene, including in the Monte Carlo Rally. 2013 was one of the most successful years in the history of ŠKODA motorsport with the European Rally Championship, the Asia-Pacific Rally, the South American Rally Championship and six other national championship titles. In 2014 ŠKODA will continue the biggest model offensive of the company's history with renewed vigour. The attractive model range, good order intake and increasing positive signs in the European automobile markets give ŠKODA reason to be confident for 2014. The brand had a successful start in 2014. 80,900 vehicles were sold in January, 16.5 per cent more than in the same period of the previous year. These are ŠKODA's best ever January sales results. In the years to come, the manufacturer wants to increase world sales to at least 1.5 million vehicles per year. 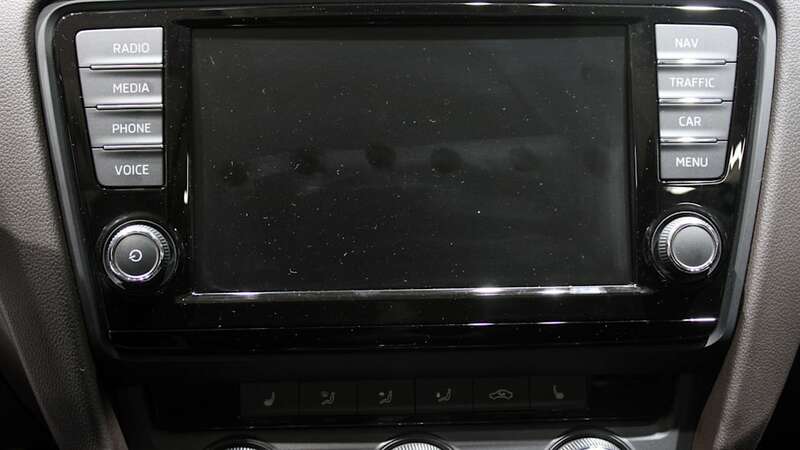 In addition, the company will be launching on average one new or redesigned model every six months. Together with the model offensive, the company will intensify its sales activities on the European and international markets. In addition to Europe, there will be a special focus on the growth markets of China, Russia and India. 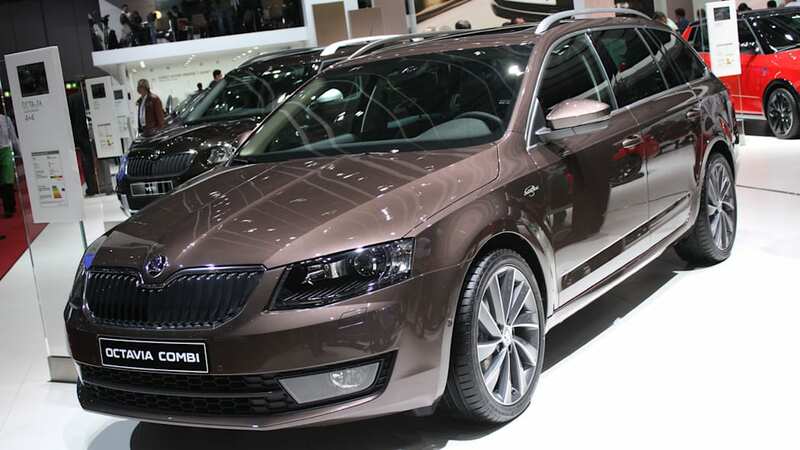 In China local production of the new Octavia for the Chinese market will commence in the spring of 2014. With the launch of the third generation of this best-selling ŠKODA model in China, the company intends to further develop its position in its strongest sales market. In January 2014 the manufacturer increased its output in China by 27.3 per cent to 27,500 units and sold more cars in that country in one month than ever before. One important cornerstone of ŠKODA's plans for international growth is Russia. Russia is ŠKODA's third strongest market worldwide and second-strongest in Europe. ŠKODA produces cars in Russia at two sites: in Nizhny Novgorod in collaboration with the Russian GAZ Group and at the Kaluga Volkswagen plant. The ŠKODA Rapid will commence production there in the spring of 2014. 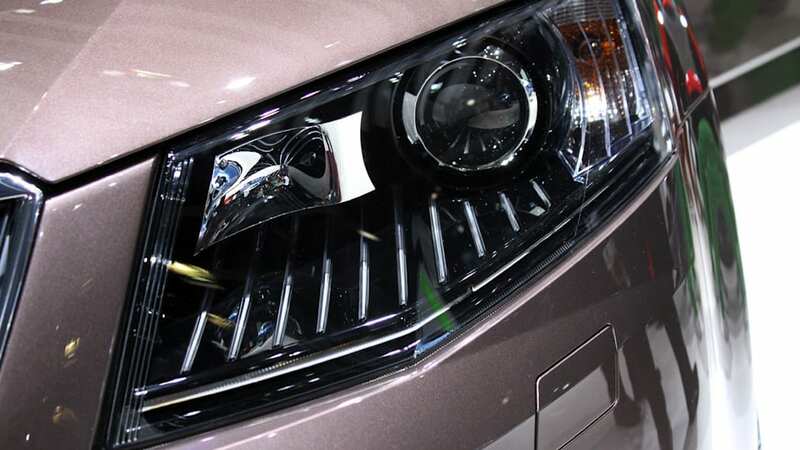 In India ŠKODA celebrated the exhibition premiere of the completely revised ŠKODA Superb and the completely redesigned ŠKODA Yeti at the beginning of February 2014. In the middle of 2013, ŠKODA also introduced the new ŠKODA Octavia to the subcontinent. 2013 was a challenging year but ŠKODA showed its strengths. With eight new or completely redesigned vehicles, 2013 was a record year for the Czech manufacturer. With an entire series of model launches, the manufacturer achieved a volume of 920,800 vehicle deliveries to customers; its second-best sales result in the company's entire history. 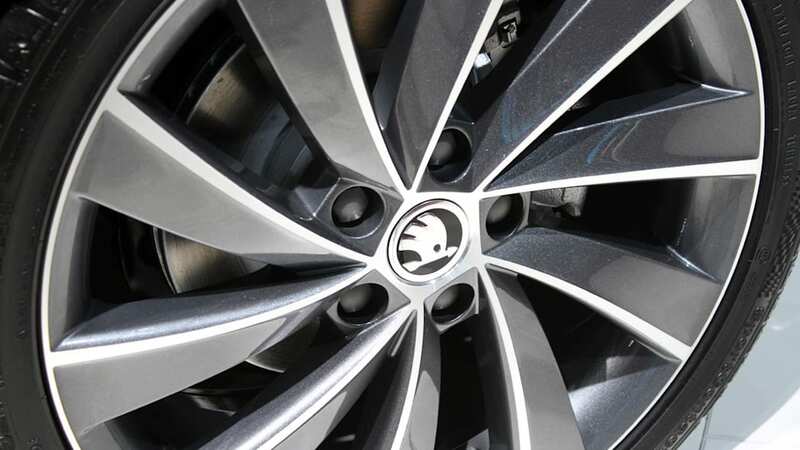 ŠKODA made encouraging gains in the second half of the year in particular, when the new models became fully available. The new ŠKODA Octavia has proved to be a real hit with high two-figure growth rates in Europe. 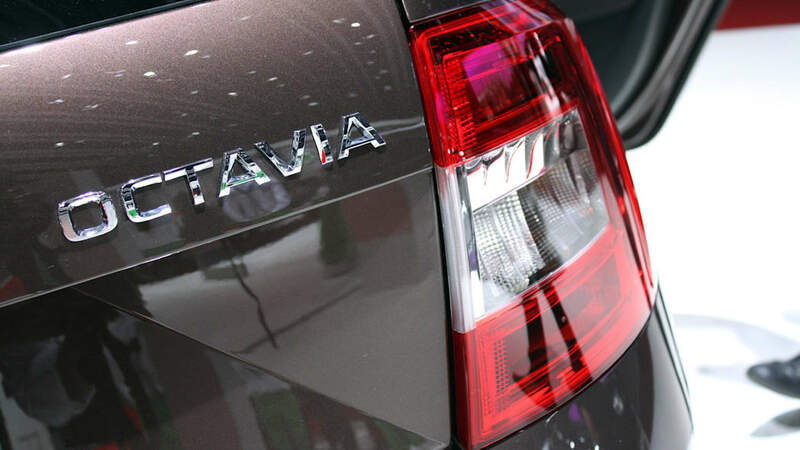 In the period between September and December 2013, Octavia sales in Western Europe alone rose by around 17 per cent compared to the same period the previous year. The new ŠKODA Octavia continues 'on a roll'. At the beginning of 2014 its sales in Western Europe rose by 40.2 per cent. - ŠKODA Press Conference: 04.03.2014, 09:40 a.m.